The sky is the limit for students, faculty and alumni in Carnegie Mellon University’s Dietrich College of Humanities and Social Sciences. It’s home to world-class researchers who do foundational and deep research and collaborate across many disciplines to take on problems that are important to humanity. Students become involved in research early in their CMU careers and work alongside their top-rated professors. They emerge from their academic careers able to communicate, think, learn and understand the world in ways that will serve them for the rest of their lives. Here are 10 of the many things to love about the Dietrich College. 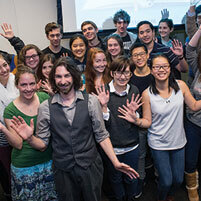 Dietrich College values questions and ideas—and the students who come up with them. Creative thinkers get the extra support they need to thrive through the Humanities Scholars Program (HSP) and the Quantitative Social Science Scholars (QSSS) program. These programs prepare qualified students with the mindset to one day be the researchers and innovators in the humanities and social sciences. Participants gain extra opportunities outside the classroom and become part of close-knit cohorts. Unique to the Dietrich College, the two programs recruit participants through a selective process. Incoming freshmen may join by invitation, and rising freshmen may apply to join for sophomore year. HSP and QSSS scholars pursue the programs in conjunction with a major in the Dietrich College. They take some of the same classes with their cohort and pursue a senior research project. Beyond academics, the programs foster a sense of community. Freshmen live together on campus in residential clusters. As bonds form, tudents encourage each other to build upon conversations and learning experiences outside the classroom. Lauren Kelly, a first-year HSP student with majors in professional writing and creative writing, says she feels supported and comfortable in HSP. "The classes would be intriguing to any humanities major. Tim Haggerty, the HSP director, taught a course last semester about the universal truths of war. I like the program because it encourages us students to learn about different disciplines in the humanities, which we may not have learned otherwise," said Kelly. Last year, the Dietrich College launched the Institute for Politics and Strategy (IPS). Directed by Kiron Skinner, IPS serves as a center for research, undergraduate and graduate education, and university-wide initiatives in the fields of political science, international relations, national security policy and grand strategy. 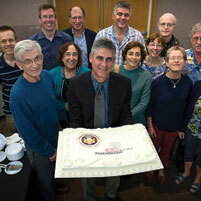 IPS took a step to distinguish itself when Baruch Fischhoff, the Howard Heinz University Professor, joined its faculty. Adding Fischhoff to IPS made it the first international relations program at a top research university with decision science as a core part of the discipline. "As one of the intellectual founders of the decision science field, Baruch has written seminal papers on decision making in domains ranging from health to the environment to national security. I am looking forward to watching as he focuses on adapting his decision making expertise into politics and international relations," said Richard Scheines, dean of the Dietrich College. An elected member of the National Academy of Medicine, Fischhoff has been on the CMU faculty since 1987. His plans for IPS include creating a core course on decision making in international relations. "War has been a constant in our students’ lives, and decision science offers a set of analytical tools and insights in how we may avoid war in the first place – by making better decisions about global security," said Skinner. "For the past decade, Baruch and I have worked together to find ways to combine decision science and international relations. His move to IPS is an important intellectual next step in our professional careers. Skinner continued, "I fully expect that we will define the intellectual space where decision science and international relations meet. Our undergraduate and graduate students are an important part of this journey." Languages are complex, with patterns and rules that can seem unpredictable. Linguistics provides us with tools to help crack the code that underlies many languages, enhancing our understanding of communication. Students who learn linguistics at CMU are not constrained to studying language from a single point of view. Instead, they are able to draw on perspectives from the Departments of Philosophy, English, Modern Languages and Psychology, as well as the School of Computer Science’s Language Technologies Institute (LTI). "Language is such a ubiquitous, integral part of human life that many different disciplines find themselves bumping up against it," said Mandy Simons, professor of philosophy. The Linguistics Program provides students with a vocabulary for describing language precisely. Classes focus on everything from phonology, phonetics and syntax to the creative topics that drive courses like B.R. George’s "Invented Languages" and Tom Werner’s freshman seminar, "Interstellar Communication." Senior Tess Harty, a linguistics major with a computer science minor, enjoys making connections between her major and everyday life. "It’s really exciting to notice things from class in the real world on a regular basis," said Harty. "Linguistics courses explain how and why my peers from different backgrounds communicate in certain ways, like having different words for the same thing, pronouncing consonants a certain way or forming different constructions altogether." Recently, there has been an explosion of interest by government, non-profit and industry organizations to hire trained behavioral economists. To meet this demand, the Dietrich College has created the first and only undergraduate major in behavioral economics. 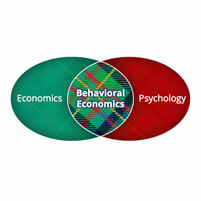 The Bachelor of Arts degree in behavioral economics, policy and organizations (BEPO) will train students to apply psychological insights to human behavior to explain and predict economic decision-making. BEPO students will learn about behavioral economics at the institution responsible for pioneering the field; the late Herbert Simon, a Nobel Prize and Turing Award winner and CMU professor, coined the phrase "bounded rationality" to describe a more descriptive conception of the limits of human problem-solving ability. Current CMU Professor George Loewenstein is considered a co-founder of behavioral economics. Offered through the Department of Social and Decision Sciences, BEPO is now available to current and future CMU students. It complements SDS’ highly sought after Ph.D. program in behavioral decision research, which has alumni working at Facebook, Google, Fidelity Investments, Mckinsey & Company, the newly formed Consumer Financial Protection Bureau and a number of non-profits, startups and consulting firms. "We have a large group of top-notch faculty in behavioral economics, and I am delighted that they will channel this expertise into this exciting, forward looking program," said Dean Scheines. "Along with excellent undergraduate programs in economics and joint majors in economics-statistics and in economics-math, this interdisciplinary major in behavioral economics gives Carnegie Mellon a very broad and deep set of undergraduate degrees in economics." 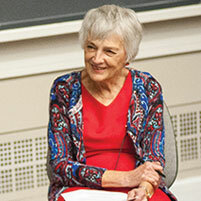 In addition to Loewenstein, students in the BEPO major will study under and have the opportunity to work on research projects with world class behavioral economists, including Linda Babcock, a prominent gender discrimination in the workplace expert who also focuses on behavioral labor and economics and negotiation; John Miller, whose research interests include bidding behaviors in auction markets and the dynamics of political platforms in spatial elections and of price formation in simple markets; Saurabh Bhargava, who examines barriers to enrolling in social service programs, the social and economics factors that affect happiness, factors that influence job searches and wage expectations of the unemployed; and Alex Imas, a rising star in behavioral economics who studies risk taking in financial markets, how social concerns and emotions influence decision making and preferences and self-imposed mental accounts and risk attitudes. 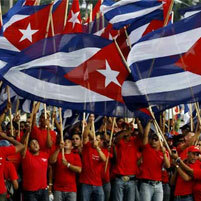 Independent civil society in Cuba has been excluded from virtually all official governing processes for over 50 years. But with the U.S. lifting travel and commerce restrictions between the two nations and the recent death of Fidel Castro, Cuba is poised for continued political change. The Program for Deliberative Democracy (PDD) is participating in a working group on deliberative democracy with key figures from Cuban pro-democracy groups. The group’s goal is to promote mutual learning between independent, Cuban civic leaders interested in the practice of deliberative democracy and proponents of these techniques in the U.S. Through the PDD, Director Robert Cavalier and Associate Professor of Hispanic Studies Kenya C. Dworkin y Méndez have combined their individual expertise in deliberative democracy and Cuban society to offer workshops and materials to Cuban civic leaders since 2013. This fall, working group participants met at Florida International University (FIU) in connection with FIU’s Cuban Research Institute. They built upon previous workshops designed to teach the processes that guide deliberative conversations and to explore topics relevant the current concerns of Cuban society, like modifying the country’s constitution. In early 2017, the group will convene for a follow-up meeting on the island. Among other activities, they will host "train the trainers" sessions to build capacity for sustained engagement in the practice. "It is truly remarkable that the members of this group have established over 500, independent 'constitutional roundtables' in private homes all around Cuba over the past few years and are set to engage the citizenry in the process of municipal elections in 2018 using the tools of deliberative democracy," said Dworkin y Méndez, who has published extensively on the issues of race, nationality and independence in Cuba. What if a mobile device could tell how you're feeling? Juniors Natalya Buchwald and Rebecca Kern posed this question to develop a winning mobile app for an Information Systems Program (IS) class competition. 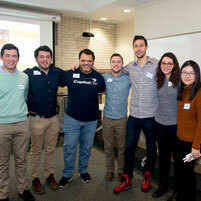 Sponsored by Capital One, students in the Mobile Application Design and Development course teamed up with eight IS alumni who work for the Capital One Technology Group. Twenty-one teams competed for $1200 worth of prizes. Buchwald and Kern designed their first-place app with children on the autism spectrum in mind as a way for them to develop skills in conveying and understanding emotions. As children follow a story, the app responds when they make a facial expression. "You see a mobile app user doing two basic actions, reading and swiping, but they are also thinking, feeling and responding to what they see. There's so much more going on. We wanted to tap into that," said Kern. Sherry Chen (DC’15), a software developer for Capital One who mentored the Emote team, felt she served as a sounding board for ideas. The teams were challenged to scale their project so it could be completed in about two months. Chen said prioritizing features helped to keep the students on track. Alumni mentors felt they benefitted from volunteering, too. "I think of this as a great opportunity to stay connected to the Information Systems Program. As a mentor, I interact with the students and give back to the program that has given me so much practical knowledge. I use the things I learned here every day," said Mike Ferraco (DC’14), also a software engineer. With stories from President Barack Obama, Gen. Colin Powell, B.B. King Langston Hughes' assistant and more than 2,700 others, The HistoryMakers is the largest African-American oral video archive in the world. Thanks to a longtime partnership with Carnegie Mellon University, the online database is searchable and available for students and scholars at subscribing institutions including CMU, Harvard, Yale and Princeton, among many others. But that’s not where the CMU connection ends — Dietrich College alumnus Dionti Davis has been working for the project since he graduated in 2014. 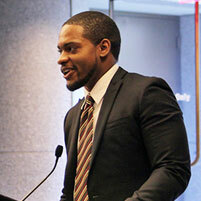 Davis, who majored in history, is currently the special assistant to the executive director for the Chicago-based non-profit. "I think that right now, the country lacks a sense of mutual understanding between people of different racial and ethnic backgrounds," Davis said. "Too often, people are simply categorized as the 'other,' making it much easier to write off their issues as unimportant or irrelevant to our own lives. I think that work like The HistoryMakers allows people to connect and empathize across the social divisions we place on ourselves, by letting them not only hear, but also see, the emotions and expressions of each interviewee." Joe William Trotter, Jr., the Giant Eagle Professor of History and Social Justice, said that the broad range of topics within the HistoryMakers materials is a rich resource. "In the past, historians would need to listen to hours of tapes to identify particular topics or themes," Trotter said. "Now, with this electronically searchable resource, students of the African American experience can readily search these interviews through a variety of individualized research questions and strategies, both quantitative and qualitative." Dietrich College faculty members guide students—as well as mentor each other, staff and alumni—to dream big, push hard and innovate. Michael J. Tarr, head of the Psychology Department, said that the department’s faculty have a knack for making real-world impact in areas such as artificial intelligence, public health and the science of education. Researchers contribute to university-wide efforts in brain research and learning through the BrainHub and the Simon Initiative. "We are thriving," Tarr said. "We are not just 'heads in the clouds' scientists. Unique to Carnegie Mellon, we worry about real-world implications and applications. We are risk-takers. We develop ideas and methods that lead and change the field and expect our faculty and students to continue this tradition of innovation." By the numbers, the 30-member faculty boasts four university professors, three members of the National Academies of Sciences, Engineering and Medicine and two members of the National Academy of Education. Three professors are winners of the National Academy of Sciences Troland Award. The honors are backed by acclaimed work. 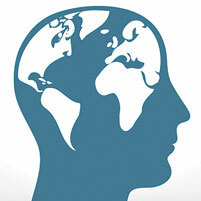 John Anderson, the R.K. Mellon University Professor of Psychology and Computer Science; Sheldon Cohen, the Robert E. Doherty University Professor of Psychology; Michael Scheier, professor and director of the Pittsburgh Mind-Body Center; and Robert Siegler, the Teresa Heinz Professor of Cognitive Psychology, were recently included among 100 eminent behavioral and brain scientists. Psychology professors are also behind some of today's most interesting headlines. The Huffington Post hailed Assistant Professor Timothy Verstynen’s work that determined how to "fingerprint" the brain. The Incline turned to Roberta Klatzky, the Charles J. Queenan Professor of Psychology, to understand why drivers slow down for Pittsburgh’s tunnels. The New York Times, NBC’s Today Show and many other outlets covered mindfulness meditation's health benefits that are supported through the research of Associate Professor J. David Creswell, who is the 2017 recipient of the American Psychosomatic Society's Herbert Weiner Early Career Award. And these are just a few of the many examples. As Shakespeare’s work continues to be woven through modern storylines, these re-inventions give CMU faculty and students new challenges when faced with the iconic playwright’s work. And students flock to English Professor Peggy Knapp’s classes to learn from one of the masters. 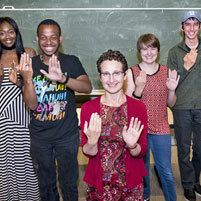 Knapp, in her 47th year of teaching Shakespeare at CMU, is even still learning from her students. Last semester, when discussing "The Winter’s Tale," her students offered suggestions that supported the constant transformation of Shakespeare. "My first experiences with teaching Shakespeare, I felt I was privileged, and this morning when I met my students, I felt that way also," said Knapp. "Everybody thinks about 'The Winter’s Tale' as a play about sexual misconduct or the lack of it, and in fact it’s really about Leontes as a tyrant. Recently, my Shakespeare class came up with two wonderful suggestions about 'The Winter’s Tale.'" Because "The Winter’s Tale" is a story about forgiveness, one of Knapp’s students saw it as a rendition of the Prodigal Son, while another said it’s a story of the natural progression of the year- going through summer, fall, winter, and always coming back to spring. "I think the staying power of Shakespeare has a draw for students into the humanities, and it’s proved Peggy right," said English Professor Kristina Straub. "She’s been a warrior, a sort of champion for Shakespeare." "I know students from economics, computer science, all across campus, if they’re going to take one literature class, it’s going to be Shakespeare," Straub said. What’s the best job in America? According to Glassdoor, it is a data scientist. 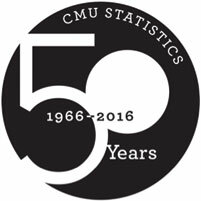 This is no surprise to CMU’s top-rated and fastest-growing Department of Statistics, which is celebrating its 50th anniversary. Statistics Professor Joel Greenhouse believes that statistical thinking is the "bedrock of data science." "Current excitement about statistics and data analysis is due in part to our ability to generate, manage and use massive amounts of data (Big Data) for scientific discovery and make predictions about future events," Greenhouse wrote in the Huffington Post. What began as a plan between mathematics and business faculty has grown into one of the largest departments of its kind for undergraduates. Whether they seek a basic foundation in statistics or aspire to advanced methods of data analysis, CMU students simply benefit from the ability to present persuasive arguments—in any discipline—through the numbers. They can couple statistics with other studies. The department offers joint majors in the areas of economics and machine learning, as well as a statistics and neuroscience track. Beyond academics, the department is a big player in national and international research and public policy. For more than four decades, faculty members from the Department of Statistics have used data to help shape policy decisions through their work with the National Academy of Sciences. "The heart of science these days is in statistics," said William Eddy, the John C. Warner Professor of Statistics, Emeritus. As a professor whose teaching extends beyond statistics to the Department of Biological Sciences, the Machine Learning Department and the Center for the Neural Basis of Cognition (CNBC), Eddy appreciates the value that the NAS places on interdisciplinary work. According to Eddy, the NAS repeatedly relies on CMU statisticians because of their keen analysis skills. "We’re all problem solvers at CMU," he said.